This book tackles one of the big problems employers face today: finding and keeping the best employees, especially at a time when young workers typically quit after only three years on the job. Rethink Work stands out from other books in this category because the author is one of those young people: 24-year-old Eric Termuende, a rising star on the international speakers circuit. 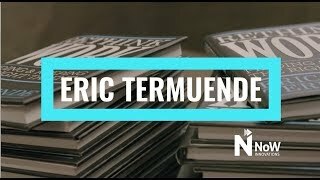 Eric Termuende is on a mission to change the way we talk about work and get fulfillment from it. A bestselling author, speaker, and entrepreneur, Eric is co-founder of NoW Innovations, and Lead Content Strategist for True Calling Canada., Eric has been featured in Forbes, Inc., Thrive Global, the Huffington Post and many others. In 2015, Eric was recognized as a Top 100 Emerging Innovators under 35 globally by American Express. Eric sat as Community Integration Chair for Global Shapers Calgary, a community that functions under the World Economic Forum. He is a former Canadian G20 YEA Delegate, representing Canada in Sydney in 2014. Eric currently travels the world talking about the future of work and multiple generations in the workplace. 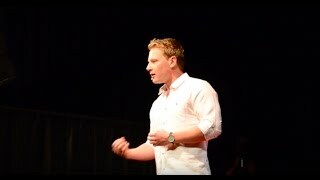 In 2016, Eric spoke at TEDxBCIT in Vancouver giving his presentation entitled ‘Bigger than Work.' Eric has worked and spoken with clients across the world. His new book, Rethink Work is now available on Amazon. Trust, belonging, constant feedback, transparency, innovative, agile. These are among the words that our organizations need to be rooted in and really focus on. The days of 9-5 transactional work are long past us, and the Future of Work is years away from giving us the freedom we thought we would have. The result, organization of all sizes need to understand how to build teams, engage employees, and create a sense to community and belonging, while still driving engagement. The NoW of work is rooted in new tools, frameworks, and processes, all of which are covered in this modern presentation. Over 90% of the information on the internet today was put there in the past two years. With 40% of corporate America feeling an unprecedented sense of loneliness, and the average person spending over 3.5 hours on our phones a day, the way we connect is changing. The ‘Honeymoon Phase' of technology is here, and we're in the eye of the storm. How do we balance the increasing dependency of technology while still getting the most out of the people and relationships around us on a daily basis? What do we need to do to build a modern team that leverages technology, but still gets to know people for who they are? In this presentation, Eric talks through tips and tricks that wow the audience and leaves them with tangible takeaways to live a more connected life. We used to strive to live ‘The Dream', which typically included a nice house with a white picket fence, two kids, a dog, and maybe even a cat. The ‘American Dream' though, is outdated; the word around is is moving too quickly and the definition of what it means to be successful is changing- fast. The American Dream is really now an American's Dream – one where each person can have their own view of what it means to be successful. Each requires a different plan and the ability to not conform to what society tells us we need to do to be successful. In this presentation, Eric talks about the evolution of the world we live in today and how technology, changing times, and and continental appetite to break the norm enables us to live a life that makes us all a little more happy. Leaders are facing unprecedented challenges, making a competitive edge elusive. Many believe they have a productivity, innovation, or product issue, yet most organizations have missed the root cause. The truth is, they are facing a talent crisis. Failing to attract, retain, and engage the right people is costing businesses greatly, both in terms of dollars wasted and opportunities missed. With increasing external threats, rampant commoditization, and generational shifts, the problem is only becoming worse. Through years of extensive research and practical experience, Eric Termuende has developed a systematic approach to winning the talent war. 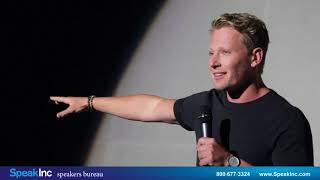 In this inspiring and actionable keynote, Eric takes the audience on an unforgettable journey, awakening leaders to fresh approaches to sustainable success. He reveals three counterintuitive and extremely powerful steps to boosting performance, beating back competitive threats, and driving long-term shareholder value.